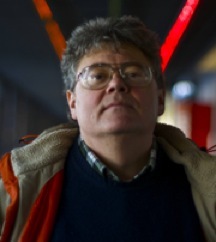 András Kornai earned his mathematics degree in 1983 from Eötvös Loránd University, Budapest where his advisor was Miklós Ajtai. He earned his linguistics degree in 1991 from Stanford University, where his advisor was Paul Kiparsky. He is full professor at the Budapest Institute of Technology, and Senior Scientific Advisor at the Computer and Automation Research Institute of the Hungarian Academy of Sciences. His research interests include all mathematical aspects of natural language processing, speech recognition, and OCR.